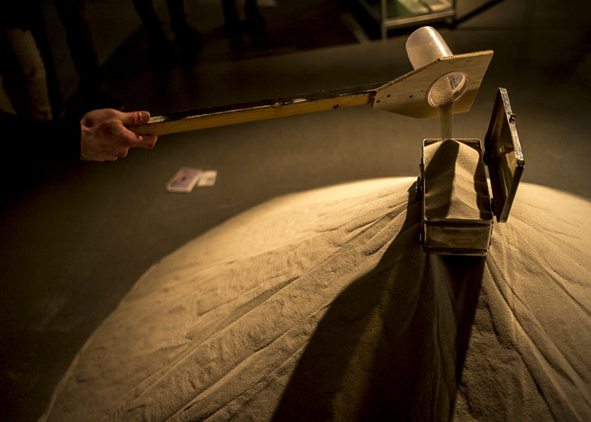 The mountain of sand starts at the top in the box and find its way down through eight groups of circular orientated holes. The holes have their influence on the trail of the sand. The sand carries the box. 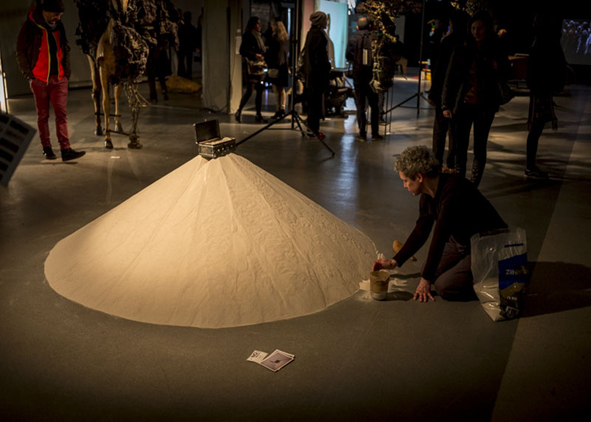 The work is a metaphor for a hierarchy based society. 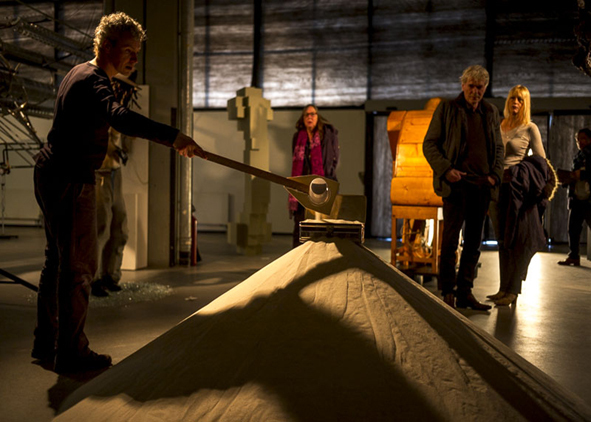 A performance comments on the hierarchic system by taking sand from the lowest part and pour it into the box on top endlessly. 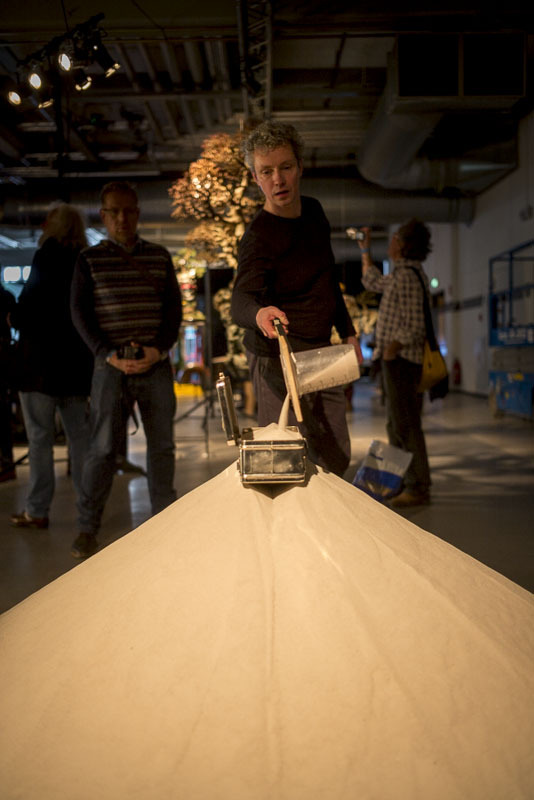 The performance of over 20 hours took place at the "No Walls Expo" during the Rotterdam Contemporary Art Fair of 2016.